If there is something the home service business is peculiar for, it is the fact that scheduling can get really crazy and difficult to handle. As a home service business owner, you have to deal with the pressure of keeping up with your client’s preferred timing and dates. Whether you like it or not, the success of your business in the home service industry depends largely on your ability to maintain an effective scheduling system. 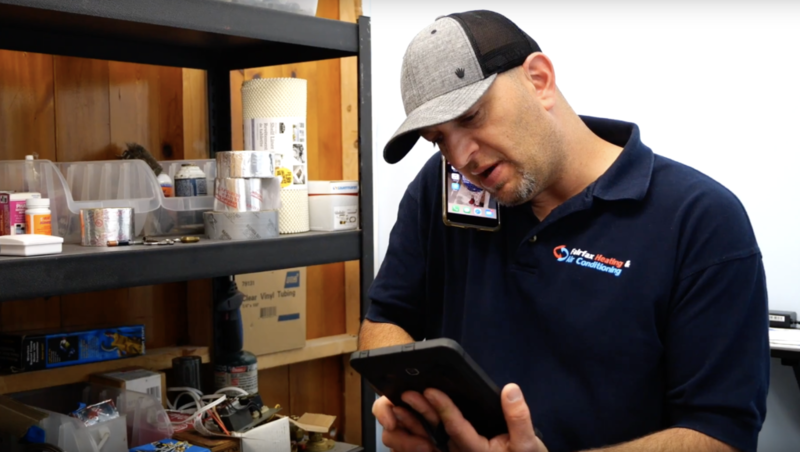 So whether you’re trying to increase plumbing sales, grow your HVAC business, or have other needs, you need a scheduling software like FieldSurf. Most businesses organize scheduling manually. To do this they will have to keep track of all the activities concerning their business including meeting up with their client’s demands for services. This can be serious work even for the best team of workers. Knowing when to do what and how to go about it is one of the key things that your business has to be able to handle. In the midst of all the rush to keep up with multiple work orders manually, clashes can occur in booking technicians that will respond to your customer’s needs which will slow down work and make you look incompetent to your clients. What’s the nature of scheduling in the home service business? An emergency: your client can be in need of urgent plumbing repairs, emergency electrical fixes, a lock problem and so on. At other times, they are simply calling to book ahead of time, probably a simple maintenance, new installations among other possibilities. It could also be a routine service. Your clients might require your service on a monthly basis or once in three months. Calls that come in to request your service will usually fall in any of these three categories. Your success as a home service company will depend largely on how well you are able to identify these different types of calls and treat them appropriately. How does software help you do this? Just like in other aspects of business, software helps you to organize and automate your scheduling process. It helps you identify the type of call that comes in, organize them based on their type and priority and document them accordingly in order to be able to respond appropriately. While there are many softwares available on the market, plumbing software or locksmith software, for example, there is a need to go for one that is designed to suit the home service business. A software that is designed with all the needs and peculiarities of the home service industry in mind is the best tool for keeping an organized schedule. FieldSurf is a cloud-based field service management software that is built with the home servicing industry in mind. It is designed to deliver your business right into the palms of your hands and helps automates all aspects of your business especially scheduling and dispatching of your field staff to your client’s home. Here are some of the key features of this powerful software. Right from the comfort of the office, FieldSurf grants total oversight to your dispatcher. Your dispatcher is able to keep a spotless schedule with this software because he/she is aware of every detail of running your business from just a single glance at the computer screen. where all your field technicians are. what the current state of the job they are working on is. which of them is available to attend to the client’s new request and which time slot is available for the call. With this information, it is absolutely easy to schedule the new request without any clashes or error. You are also able to reserve the customer’s requested time and keep the slot on hold until it is confirmed or released. This way, another call cannot be booked for the same time slot. Another cool feature of the FieldSurf software is that it organizes your schedule into separate calendars; one for first-time callers for your services and scheduled calls. Once a call comes in, by simply entering the last name of your customer into FieldSurf, your scheduling staff will be able to tell if it’s a repeat customer or a new one and respond to them appropriately. Clients who patronize your business on a fixed schedule, say on the last Friday of a 3-month period will have their slot preserved constantly and no new calls can be scheduled for that same period of time. FieldSurf also sets a reminder for regular services like this so the chances of double booking a technician is completed eliminated. You will be surprised with how easy it is to prepare work order with FieldSurf. For a customer who has requested your service before, there is no need to start filling in their details all over again when they call. FieldSurf automatically recognizes them from their last name and automatically fix in all their details based on their previous orders. For new customers, your desk staff simply has to prepare a new work order for them based on the software’s template which covers all the details of the task and when and where they want is delivered. Along with the work order, FieldSurf also creates an automatic invoice based on the service requested, ready to be sent to the client automatically the moment the job is done. As mentioned, FieldSurf gives your front desk complete oversight over your staff in the field. The Software’s Geofencing function allows you to know where each of your field technician is. Also when they arrive at a location, they sign in and also sign out when they are done. They can also keep the front desk updated about the state of the job they are attending to. With all these information, you will be able to tell which of them is available to respond to a call. Also, the GPS function allows you to your accurately pinpoint the location of the new order and determine which of your available staff on the field is closest to the home where your service is being requested. FieldSurf’s SMS capabilities also make communication between field and office totally easy. Dispatch information is sent to your technicians and is received on their phone in real time. This helps to cut down drastically on time wasted in responding to request and helps promote a better relationship with your customers. With FieldSurf, you can boldly say that the future of your home servicing business is in your hands. By leveraging these and other important features of the FieldSurf software, your company can stay ahead of the competition and increase sales drastically. You are also able to work more effectively and deliver optimally to all your clients at all times. FieldSurf is easy to use and above all very much affordable for both small and large business. So no matter what type of home service you render and no matter how you operate your business, FieldSurf is the perfect tool for you.